Australia doctors are issuing warnings to pregnant women about Botox and other cosmetic treatments using with botulinum toxin. Health authorities in Australia have reported that a pregnant woman treated with a Botox rival named, “Dysport” birthed a baby who was deaf and blind. 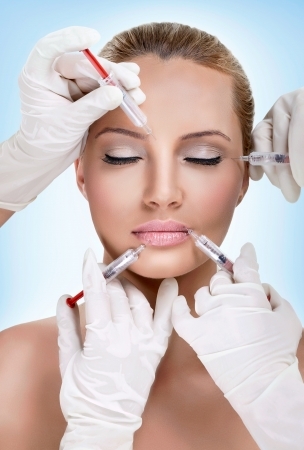 Many botulinum toxin treatments are approved for use in the U.S. Both Botox and Dysport are made with botulinum toxin Type A, approved for treatment of conditions including blepharospasm (spasm of the eyelids), severe primary axillary hyperhydrosis (sweating excessively) and cervical dystonia (severe neck muscle spasms). Not currently approved as a treatment in the U.S, Dysport manufacturers Ipsen are seeking U.S. Food & Drug Administration (FDA) approval. They are hoping to be able to market the drug. They are also seeking approval for Reloxin, a wrinkle treatment product. The Australian Federal Health and Aging Department released documents last month detailing the case of a baby born deaf and blind in 2005 after the mother was given facial cosmetic injections of Dysport in the first few weeks of pregnancy. A group of human-derived collagen products are currently available. The tissue, harvested using sterile techniques from donors or grown in a laboratory, are processed to form an injectable human collagen matrix. Alloderm is a human collagen matrix. Similar to a skin graft, dermal grafts are the deeper connective tissue layer of the skin from which the epidermis, or outer layer, has been removed, allowing a dermal graft to be placed beneath the skin surface to correct soft tissue defects. The most significant limitation of dermis is that it must be obtained, or "harvested" from the patient by a separate surgical procedure, and reabsorption of dermal grafts can be a problem in some patients. (the thicker, collagen fibre-rich, deeper layer of skin) is removed from carefully screened donor cadavers, and prepared by removing all cells and freeze-drying. Immediately before use it's reconstituted with saline solution, and implanted in sheets or strips for treatment of soft tissue defects, large wrinkles, and for lip augmentation. Use in fine wrinkling is impractical. The collagen matrix is non-allergenic, and acts as a "scaffold" for in growth of blood vessels and cells from the recipient. Transmission of disease from the donor, although theoretically possible, has not been reported, and some patients are repulsed by the concept of cadaver donors. Alloderm is readily available, although expensive, and handles similarly to a traditional skin or dermal graft. Like dermal grafts, absorption of Alloderm grafts can occur-a 50% long term correction is usual, although in some patients the implant may be entirely reabsorbed. Injectable collagen prepared from the patient's skin. It is removed during other surgeries, such as facelifts, "tummy tucks", etc. This excess skin can be processed immediately into injectable collagen, or can be frozen and stored for later use. The material is implanted by injection, which may require local anaesthetic for discomfort. The main disadvantage of Autologen is its limited availability- 20 sq/cm of skin are needed to get 1cc of injectable material. Correction is longer lasting than cow collagen, about 75% correction after a year, but temporary nonetheless. Small pieces of skin are harvested from the patient, processed and prepared for injection or frozen for later use. An alternative to traditional collagen injections. Possible side effects - bruising. CosmoDerm is used for superficial lines, while CosmoPlast is used for more pronounced wrinkles. Both are made of collagen derived from human cells grown in the lab. They are used for frown lines, crow's feet, forehead lines, smile lines, vertical lip lines, marionette lines, lip border and for certain scars. Cymetra is an injectable form of Alloderm. An injectable human tissue collagen matrix derived from cadaver tissue. It is made from the human dermis with all of the cells removed. Cymetra is actually a micronized particulate form of Alloderm. Like Alloderm, Cymetra contains all the elements needed to replace tissue (collagens, elastin, proteins, and proteoglycans). The collagens and elastin provide structure for cell repopulation, while the proteoglycans and proteins allow the patient’s own cells to initiate revascularization and cell repopulation. Because of the small particle size, Cymetra can be delivered by injection as a minimally invasive tissue graft. Like Alloderm, Cymetra is a natural alternative to using the patient’s own tissue, or to traditional products that act as substitutes for soft tissue. Cymetra retains the ability to remodel into normal soft tissue - without eliciting an inflammatory response or graft rejection. The collagen-elastic matrix stays intact after injection to allow for ingrowth of cells and blood vessels. Absorption can occur, although at a somewhat slower rate than with cow collagen. Once the Cymetra implant material is in place, it gradually becomes a natural part of your body. Cymetra actually repopulates the treated area with your own cells, creating new tissue, to produce longer lasting results. Fat injections have been used for years to add volume, fill wrinkles, lines and enhance the lips. Fat injections involve taking fat from one part of the patient’s body (abdomen, thighs or buttocks) and reinjecting it beneath the facial skin. Unlike bovine collagen, allergic reaction is not a factor as the fat is harvested from the patient’s own body. Areas subject to movement, such as lips tend to have lower "take" rate. procedure may be needed to completely correct sagging or wrinkling. Isolagen is collagen from your own skin, cloned in a laboratory and processed into liquid form. It is cultured and cloned from a small skin biopsy and injected into problematic areas including fine wrinkles. A series of 3 injections given about 2 weeks apart. These living fibroblasts then produce collagen and repair protein in the dermis, correcting the defect. Injectable collagen prepared from the patient. After your blood is withdrawn the physician will "spin" the protein out of your blood and mix it with a Vitamin C complex. Your physician then re-injects this mixture resulting in augmentation with your own protein serum. It is used as a soft tissue filler to add volume. Botulinum toxins have been used for neck spasms, cranial nerve disorders and eye spasms. With the recent approval of Botox for cosmetic use in the glabellar region, the drug is used to smooth wrinkles. When injected into facial muscles botulinum toxins block nerve impulses, temporarily paralysing muscles and smoothing wrinkles. Currently Botox is the only form of botulinum toxin approved for cosmetic purposes, but two others, Myobloc and Dysport are under review for cosmetic use in the USA but are already being used in other countries. If you are having Botox injections it is important to have some form of exercise for the facial muscles you have paralysed so that when you do stop having the injections your face wont be limp and hanging down due to atrophy of the muscles wasting away. Remember muscles have memory regardless of the size. Trade name for botulinum toxin and when used in tiny amounts, it can temporarily paralyse a muscle and reduce wrinkles or frown lines. A substance derived from botulinum toxin that works by preventing nerve impulses from reaching the muscle, causing the muscle to relax. Botox is an injectable substance of a medical grade form of the botulinum toxin type A, a neurotoxin that is used clinically in small quantities to treat strabismus and facial spasms and other neurological disorders characterised by abnormal muscle contractions; is also used by cosmetic surgeons to smooth frown lines temporarily. Botulin toxin or botox is the toxic compound produced by the bacterium Clostridium botulinum. It is an enzyme that breaks down one of the fusion proteins that allow neurons to release acetylcholine at a neuromuscular junction. By interfering with nerve impulses in this way, it causes paralysis of muscles in botulism. The toxin is a two-chain polypeptide with a 100 kDa heavy chain joined by a disulphide bond to a 50-kD light chain. It is possibly the most toxic substance known, with a lethal dose of about 300 pg/kg, meaning that somewhat over a hundred grams could kill every human living on the earth. The spores are found in soil, practically all over the earth, and if soil is included in a can or jar of poorly preserved food, the bacterium could grow and produce toxin. Botulinum toxin type A; Requires larger dose than Botox but manufacturer claims injections are stronger and last longer with patients returning twice a year rather than four treatments with Botox. Botulinum toxin type B; Requires larger dose than Botox but takes effect more quickly. Myobloc has a longer shelf life than Botox. May serve as alternative to patients resistant to botulinum toxin type A.
Hyaluronic acid exists naturally in all living organisms and is a natural component of connective tissues, including the skin. It is a natural substance (complex sugar) found in all living organisms. It hydrates the skin by holding in water, and acts as a cushion and lubricant to reduce damage to the skin. Hyaluronic acid is an important component of youthful, supple and elastic skin, helping to maintain skin volume as it gives soft tissue its bulk. As we age, our skin loses hyaluronic acid, contributing to the formation of wrinkles. Hyaluronic Acid Gel is also called Restylane and Hylaform, and in some other countries know as, Juvaderm, Hylan B or Rofilan. It is injected as a filler for wrinkles, and for soft tissue augmentation such as lip plumping. Captique is the newest hyaluronic acid dermal filler. It is used for the correction of moderate to severe facial wrinkles. A clear gel containing a purified form of hyaluronic acid. Hylaform is made from purified, natural hyaluronic acid that is gradually absorbed by the body. it is a hyaluronic acid extracted from rooster combs (hyaluronan, sodium hyaluronate). Hylaform injected material is gradually resorbed, with correction lasting up to a year. doctors are urged to find out whether patients have bird allergies before using Hylaform. Hylaform Plus (Hylan-B gel), is a large particle size hyaluronic acid-based extracted from rooster combs. It is used as a dermal filler correction of moderate to severe facial wrinkles and folds. Made of non-animal-based hyaluronic acid. Not used in may countries and is not approved by the FDA. Used as a cosmetic filler. Perlaine, Purlane, Purlaine, Purlayne, are all common misspellings of Perlane. tenderness. Very rarely acne-like formations have appeared. A soft tissue filler made of hyaluronic acid. A material which is produced by genetic engineering. It adds volume to minimize wrinkles and lines. As the substance naturally occurs in humans and all animals, allergic reactions are rare. Restylane is somewhat thicker and "stiffer" than Hylaform, partly because of the increased concentration of hyaluronic acid, and because of more cross linking of the HA molecules. The HA molecules in Hylaform are somewhat longer than those in Restylane, allowing increase water binding compared to an equal volume of Restylane. A a rule, Hylaform is somewhat "thinner" with a softer feel and less of a tendency to "bead" or "clump" than Restylane. may persist for up to a year or until the injected material is fully resorbed. be moved underneath the skin. Manufactured in the Netherlands Reviderm is hyaluronic acid gel similar to Restylane, with the addition of dextran micro spheres, which increase the duration of the correction. Dextran, a biodegradable polysaccharide. Reviderm intra is biodegradable, it is also similar in nature to a permanent implant called Artecoll that uses micro spheres of polymethyl methacrylate. bleedings often found during the injection. Bumps can occur from uneven injection. Moderate pain and itching can also occur. if the product is injected in the supratrochlear artery in the glabellar region. Semi-permanent fillers are not readily broken down and removed by the body, thus establishing permanence, however, they can be easily removed from the face, in the event of side effects or dissatisfaction with the results. Collagen is a naturally occurring protein that supports various parts of the body including skin, tendons and ligaments. Commonly used injectable collagen is made from purified cow skin to fill wrinkles, lines and scars on the face. The primary risk of injectable collagen is allergic reaction. Injectable collagen absorbs into the body. Possible side effects - Redness, swelling, lumping, allergic reaction. Hyaluronic acid is made using a bacterial fermentation process which produces Dermalive. The Hyaluronic acid is completely broken down within the skin over a period of months, but the acrylic hydrogel remains so the effect is longer lasting and possibly permanent. temporary injectable,you must wait until it has fully dissipated before USING DERMALIVE OR DERMADEEP. Hard to find now but if you have obtained it in the past this is what it is made up of. A synthetic polymer containing mostly 20% Elastin, 20% Hyaluronic Acid, 20% Metacrylate Fibers, 10% Nucleic Desoxiribe Acid, 10% Polyoxiethylene, 10% unknown emulsifier, 5% Amino Acid isocoproical and 5% 3-Methyl Pentaenoical. This product is designed to stimulate your own cellular growth. Radiance is injected into the face adding volume through microspheres that are suspended in polysaccharide carriers until encapsulation occurs. The injectable implant, Radiance FN, is made up of calcium hydroxylapatite suspended in a carboxymethylcellulose gel or otherwise known as CMC. Calcium hydroxylapatite is a normal constituent of bone. The cellulose gel is absorbed by the body in six to eight weeks. The initial injection causes an inflammatory reaction, and the gel breaks down. As it is absorbed, it reacts with the surrounding tissue, which results in new collagen formation. Collagen is said to replace the gel, and is added to the calcium hydroxyapatite, which was also contained in the gel, making the skin plumper and fuller. So as the gel breaks apart, collagen is said to replace it, and this is why the material usually cannot be felt after six to eight weeks. Has also been used and approved by the FDA for treating vocal cord paralysis. In general, calcium hydroxylapatite has safely been used in the body for many applications including dental applications where bone build-up is needed for reconstruction and also in block form for cosmetic applications such as cheek, jaw, cranial and chin implants. with using injections of a corticosteroid like Kenalog. OH, JUST ONE MORE PIECE OF INFORMATION I THOUGHT YOU MAY LIKE TO KNOW ABOUT BEFORE INJECTING THIS PRODUCT INTO YOUR BODY, YOU MAY LIKE TO KNOW WHAT carboxymethylcellulose IS? wash paste, etc., in our daily life. Aiming at the environmental purification. Rhegecoll is comprised of 40% bovine collagen, 15% A.D.N./DNA, 15% copolymer 4-G, 10% methacrylate, 10% unknown emulsifier, 5% embryoblasts (stem cell), 5% unknown stabilzer. Allergy Test: No allergy pre-test is necessary but with 40% bovine collagen it is strongly recommend. Sculptra is an injectable synthetic biocompatible material made up of poly-L-lactic acid contained in mirro-spheres. It is said that the body forms collagen around the micro-spheres. It provides a gradual and significant increase in skin thickness, improving the appearance of folds and sunken areas. Usually used in people with human immunodeficiency virus where signs of facial fat loss has ocurred through illness. Was formally knows as NuFill. enderness or discomfort, redness, bruising, lumping, swelling and granulomas. (Granulomas - an inflammatory tumor or growth composed of granulation tissue). RESULTS: Immediate, and typically last 2 years according to manufacturer. This product is a positively charged hydrophilic polyacrylamide gel. It is manufactured in France and is similar to the other cosmetic filler know as Evolution. The positive charge is said to form collagen in the skin. It is usually injected into the deep dermis level of the skin. Outline is a third generation non-animal dermal filler and it dissolves slowly over a long period. It is an absorbable Polylacrylamide HYDROGEL. It has been used in medicine and the food industry for many years. It will be found in lens implants, artificial tears, contact lenses and wine purification. Fibrel was approved in the U.S. in 1985, and consists of a freeze dried gelatin derived from pig connective tissue mixed with the patient's blood plasma and a chemical to encourage the formation of new collagen. Skin testing before treatment is necessary to avoid use in allergic patients. Although Fibrel is less allergenic than cow-derived collagen. The patient must have blood drawn to obtain the plasma, and the injections are said to be very painful. The name says it all, they are PERMANENT and the only way of removing them is via surgery. Permanent fillers are not readily broken down and removed by the body, thus establishing permanence, however, they can be removed from the face, in the event of side effects or dissatisfaction with the results. Artecoll is a toothpaste-thick blend of tiny Plexiglas beads, bovine collagen and the painkiller, lidocaine. Comments have been made that there's no way to remove this substance except by cutting it out. Aquamid is a transparent, injectable polyacrylamide gel for correction of soft tissue. The gel consists of 97.5% sterile water bound to 2.5 % hydrophilic polyacrylamide. A thin layer of the body’s own connective tissue surrounds the gel, enabling the injected substance to become a stable part in the connective tissue. It can be removed shortly after the injection if necessary. If the gel has to be removed at a later stage, a surgical procedure will be necessary, the success rate of which is variable. which occurred several months post-injection. This product is a medical grade, hydrophilic polyacrylamide gel. It is unknown if this product has anti-bacterial properties to decrease the chances of bacterial infections. It is said that this product contains both BFGF and EGF. BFGF is an acronym for basic fibroblast growth factor, and EGF stands for epidermal growth factor. The ingredients stimulate elastin production, plus the polyacrylamide gel holds 300 to 400 times its weight in water. IMPORTANT NOTICE: Should not be injected over other products, especially those which are hydrophobic. This product is the second generation polyacrylamide gel comprised of 95% polyacrylamide and 5% water, it is also manufactured using a silver ion process to help repel bacteria. Mainly used for lip enhancement. Also, if you have gotten a temporary injectable, you should wait until it has fully dissipated before using this product. It is permanent, yet can be removed via aspiration or puncture and manual pressure. This product is the second generation polyacrylamide gel comprised of 95% polyacrylamide and 5% Microspheres of polymethylmethacrylate (PMMA) suspended bovine collagen. This injectable was comprised of the same material as Artecoll, PMMA, however the size of the microspheres was smaller, the surfaces were irregular. Also, the collagen was reported to be less pure and the microspheres had residual monomer. the market and replaced by Artecoll. Note: This product was discontinued due to persistent inflammation and granulomas. This product consists of 96% water and 4% synthetic reticulate polymer ( poly-Alkyl-Imide ). There are discrepancy regarding Bio-Alcamid's ratio of polyalkylamide to water. It is available in Mexico, and found in border cities, I think that says it all. Do your home work before considering this product. The side effects are swelling and redness. This product is made from a purified, medical grade silocone oil. There is not much information available on this product so please be careful if considering this filler. Said to be very similar to silocone. Dermagen is polymeric (long-chain) compound of natural silica and oxygen. During manufacture, the silica is melted at 2,000 degrees temperature, stripped of free radicals, and then purified and sterilized. An all natural mineral solution, which never hardens, moves, or disappears, as does collagen. Perfect for permanent lip, chin and cheek augmentation, smile and frown lines. Common allergies after injection is inflammation. Apparently from what I have read it is yet another filler to be extremely careful of. Formacryl was a semi-permanent in a sense that it was permanent, yet reversible. Formacryl was comprised of 5% polyacrylamide, a synthetic polymer, suspended within 95% apyrogenous water. Unlike all of the other injectable microsphere suspensions or bovine collagen, this one stayed soft. After it is injected gel remains pliable and plump like your own tissue, not hard like collagen or firm like Artecoll because of the hydrophilic nature of the implant itself because your own fluids keep it plump. Formacryl ceased production due to the bacterial infections which surfaced even years post-injection. They discovered that polyacrylamide gels could harbor bacteria, which created inflammatory and infectious responses. Bioform improved the product with the addition of a silver ion process which hindered the accumulation of bacteria in the gel, and called it Argiform. Bioform did at one point supply a company named Progen (now Polymekon) with Formacryl to hopefully distribute the product. Progen later renamed the product and sold it under the name, "Bioformacryl." Bioform later ceased making Formacryl due to the bacterial infections which surfaced even years post-injection. They discovered that polyacrylamide gels could harbor bacteria, which created inflammatory and infectious responses. Bioform improved the product with the addition of a silver ion process which hindered the accumulation of bacteria in the gel, and called it Argiform. Made in Switzerland and is comprised of a copolymer based on a fatty acid of polioxyethylene-4. Kopolymer 4E also contains elastin. Kopolymer 4E is often used for lipodystrophy, facial contouring and volume restoration. This product is comprised of polymethylethacrylate (PMMA) microspheres, 20 to 80µm in diameter, suspended in a clear carrier made from carboxygluconatehydrolactic of magnesium. It is an acrylic derivative. You may have swelling after it is injected. Results are said to take place within 30 days after the injection and are permanent. You are advised to stay out of the sun. Acrylate and methacrylate spheres suspended in a liquid that turns into a gel when warmed. Developed in Switzerland, this product is comprised of 20% microspheres made of acrylate and methacrylate, 45% coplymer 4-G, 15% polyethylenglycol, 10% ascorbic acid, 5% cryptoxantine, and 5% unknown stabilizer. What is really interesting about this implant is that when it is cold, it is in a liquid state -- when it reaches body temperature it becomes more viscous and turns into a malleable gel. It actually must be cooled from 35.6°F to 42.8°F before injection to liquefy it. This products it not widely available or used so we are unable to tell you about side effects of this product. Profill is made from polyethylene. It is usually combined with collagen as a carrier. There is very little information available on this product. Made in a liquid, injectable form. Silicone oil cannot be broken down by the body. Imagine the silicone as a grain of sand, and your body as the oyster. The body forms collagen layers around the silicone and eventually augmentation is gained in the form of fibrous tissue. If the body cannot find relief after encapsulating the silicone, it will continue to form more and more collagen around the product, eventually causing a firm nodule. palpable masses have been reported following silicone use. this product's full name is Silicex Antifoam 140. Silicex is NOT intended for injection into the body. Apparently Silicex Antifoam 140 is a foam control agent used in cementing. "Silicex Antifoam 140: Excellent general purpose foam control agent particularly suited to cementing & gas scrubbing. Available in :Europe / Middle East / Africa, North America"
Description : Silicex antifoam 140 is a non-ionic aqueous emulsion containing dimethylpolysiloxane, and is highly effective for prevention, control and elimination of foam in aqueous media. Active ingredient concentration is 30%, offering the advantage of very quick action and lengthy duration of the defoaming effect. Manufacture of soaps and detergents"
It is described by the company as a milky white emulsion liquid with a slight odour and no suspended particulate matter Do not get this injected into your body. You may have heard the bad press of Silicex injections for wrinkles and lip augmentation. It is not intended for human or animal injection under any circumstances.